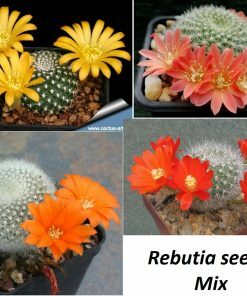 You can get the substrate used for planting Cacti by mixing garden soil, fine construction sand (granulation up to 2 mm) in even proportions and by adding small pieces of broken bricks, roof tiles or pearlite. This last ingredient is very important for Cacti because it allows better substrate drainage. If the substrate doesn’t have good drainage, there is a chance that most Cacti will die during germination. If you want to go down the easier path, simply buy a Cactus mix. Now you have to proceed with the sterilization of the substrate to avoid fungus appearance, which can completely destroy all seeds. You can use any kind of fungicide found in stores. But it is enough to simply bake the substrate in a microwave for at least 3 minutes or in an oven for 45 minutes. You need to cool the substrate off after that. You can use containers of any kind for planting Cacti. They don’t need to be deep; about 1.5 inches (4cm) is enough. The important part is that the container has holes at the bottom to let off the water surplus, and the more it lets off, the better. You can lay the bottom of the container with small pebbles, so the hole doesn’t clog up with substrate. 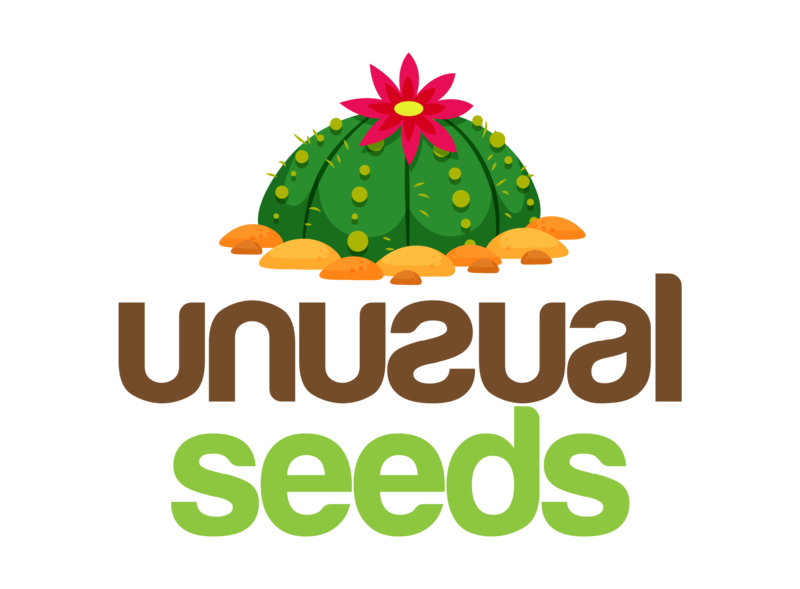 One container can hold a few seeds, there is no need to separate them, and it isn’t recommended either because Cacti like to be close together. Put the prepared substrate in chosen container, shake it and softly tap the surface so the soil can settle, there should be no air left in it. Be careful not to overfill the container, so leave about 0.8 inches (2cm) from the top. Water the substrate plentifully and leave it, so the water surplus can drain off. It is recommended to water it by submerging the container. Lay the Cactus seed on the moist surface of the substrate and gently tap it with a flat object. You shouldn’t do it with your fingers under no circumstances. It is usually not required to cover the seed with another layer of substrate, except when it comes to bigger seeds. You can keep the substrate moist with see-through glass, foil, plastic bag or something similar. It is important to keep the distance between the substrate and glass. Drops of water on the glass indicate if the amount of moisture is enough or if you should additionally water it. The container with seeds should be put on a bright spot, not exposed to direct sunlight. The temperature needed for seed germination must be over 68°F (20°C). Cacti can be bred from seed at any time of the year, if you can provide them the aforementioned warmth and moisture, and later on, light for at least 10 hours a day. During the winter period, you can achieve this by using artificial light source and put your Cacti container underneath the light bulb. 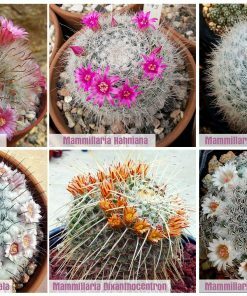 Depending on the Cactus breed, it will start growing in a week or in a couple of months. Until the germination process starts, you cannot open the container. 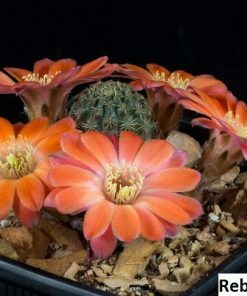 When the first Cacti start appearing, gradually let the fresh air in every day, but not by opening the container completely and exposing it to the external climate. You should open it just a little bit, the next day little bit more and so on. If you immediately expose baby Cacti to external climate, more than 80% of it will surely die off, and the rest will shrivel up. You can open the container completely when you determine that your Cacti are strong enough. It is considered that in order to achieve best results, you need to keep them covered and under strong light, for at least 6 months. Young cacti do not need to be separated until it’s absolutely necessary. This means that they can stay together up to two years. Plants that have just went through the germination process are not as sensitive to water as mature plants, so you shouldn’t let the substrate dry completely. It’s best to spray them every day. Place: As it is widely known, Cacti are tropical plants, so they can stand extremely high temperatures. Feel free to keep them in strong, direct sunlight. On the other hand, it’s not recommended to expose them to the afternoon sun right away. It’s recommended that the plants go through a couple of days of adjustment, especially young plants. It’s best to take them out as soon as the last winter days pass, that would be sometime around the end of March. Substrate: Cacti love poor, loose soil. Garden soil and construction sand mix suits them best in 1:1 proportion. You should add pebbles or perlite for better drainage to the mix. Repotting: Cacti love crowded space and you don’t need to repot them for the first few years. Too big pots can be bad for them, so the rule applies that the pot should be as big as half an inch (1cm) in diameter around the plant. If you think that it lacks soil, lift the whole plan with the existing soil and add some fresh substrate down below. Watering: You should water it regularly during summer, about 3 times a week, when the air temperature is high. Be sure to check if the soil is dry before every watering. You should stop watering it during winter completely. If you notice that it needs water, you can water it up to 3 times during the period from November to March. Wintering: The lowest temperatures that Cacti can stand differ depending on the Cacti type. So some Cacti can stand as low as 32°F (0°C), while some can stay out during the whole winter, under the condition that they are shielded from precipitation. 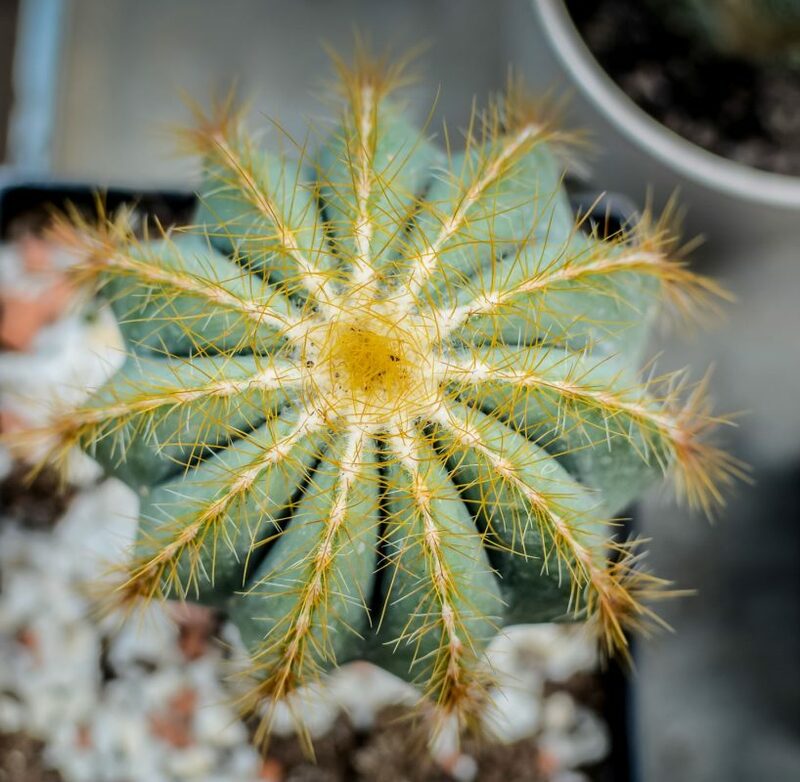 However, most Cacti need to be provided with winter sleep, in a relatively cold room around 32°F (0°C), with as much light and as little watering as possible. 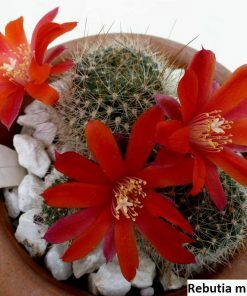 Cacti can spend winter in a warm room but then more frequent watering is required, at least two times per month, and it needs much more light. In that case you should pick a spot most distant from a source of warmth. Topdressing: Cacti don’t have any special topdressing requirements. You can use topdressing during summer months with any Cacti topdressing, but it is not necessary to do it at all. Blooming: There are breeds which never bloom, those that bloom as early as in their first year and those that bloom only after a few years of germination. Will the cactus bloom depends on proper maintenance.